Rocker has reunited with former Stray Cats band members Brian Setzer and Slim Jim Phantom and they toured the U.S. with The Pretenders and ZZ Top in the summer of 2007. 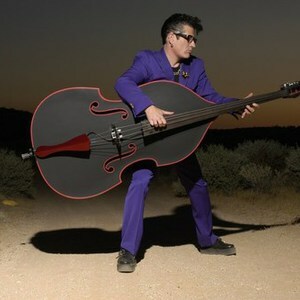 Lee Rocker released Black Cat Bone in August 2007, an album featuring his loyal musicians Brophy Dale on guitar and Jimmy Sage on drums, while Buzz Campbell (Hot Rod Lincoln and Sha Na Na) joined the band three years ago and gave a Gretsch guitar sound to the band. Rocker was born with the name Leon Drucker, the son of classical clarinetists Stanley Drucker and Naomi Drucker. Also known as the King of the Slap Bass style.